The Atlantean Power Rod conducts your energies through copper and out a Quartz Crystal Tip. 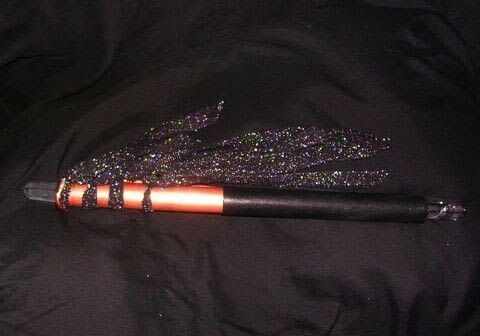 Best wand ever dreamed up. This wand has been used for centuries, so the original creator is unknown. 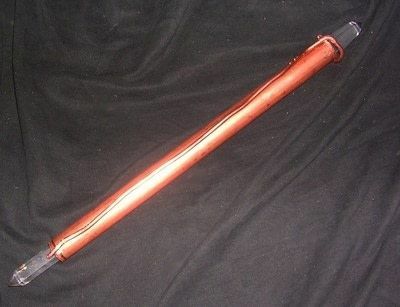 First of all, have a pure copper tube. These are up to $5 at Hardware Stores. 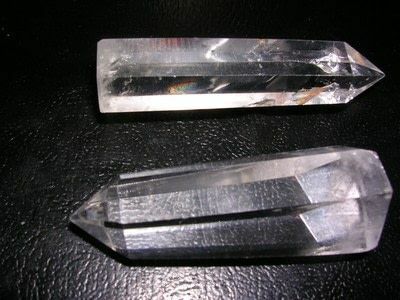 Also have on hand two Quartz Crystals, one for each end of the Wand. I got these two large ones for $6 each. Be sure that they pretty much fit the tube. 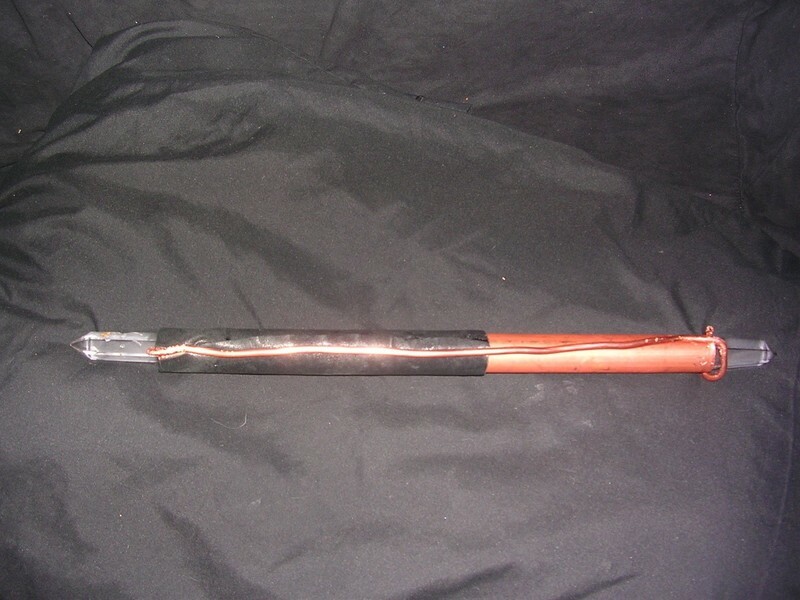 Get Copper wire to conduct energy better. (Optional)I forgot to take a shot of the Wire. Be sure it is a little longer than your copper tube. Halfway Point. 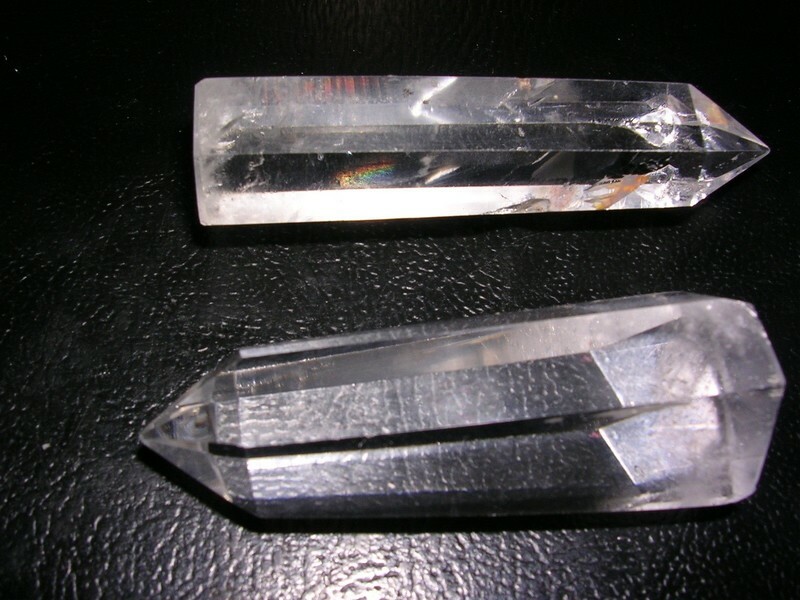 Fit the crystals into the tube, if you have to make it bigger then bend the end with pliers until the crystal goes in and stays in place firmly. If it is too small then either bend the edges of the end slightly to place in and hold the crystal or place a filler next to the crystal, making sure that the filler is flush with the end, It is not good to have it sticking up next to the crystal. You can do the filler with the copper wire if you wish and wrap the other end around the main crystal. Some copper wire is easy to bend but the thick stuff needs a good needlenose plier. Wrap part of the wand where your hand will be with leather but leave the wire exposed for the conductivity. If you do not use the wire, then wrap it with a smaller piece of leather so that your hand touches the tube at the top or bottom. Conductivty is key to the use of the wand. Either use strips of fabric or ribbon or stick on decorations of some sort with glue. Use your imagination to decorate it, the sky is the limit.